Made in the 1970s , this pin will marry all your summer and winter outifts! 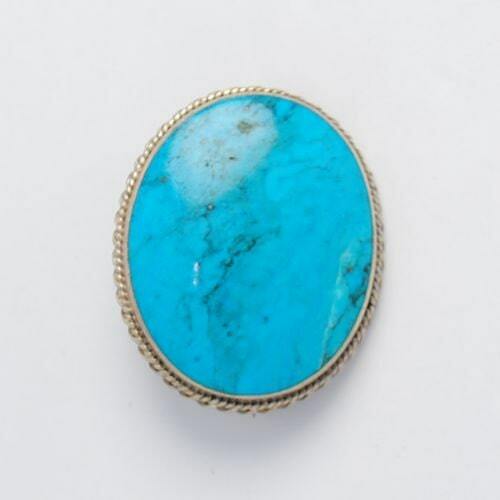 This turquoise brooch is delivered in an elegant burgundy velvet purse. 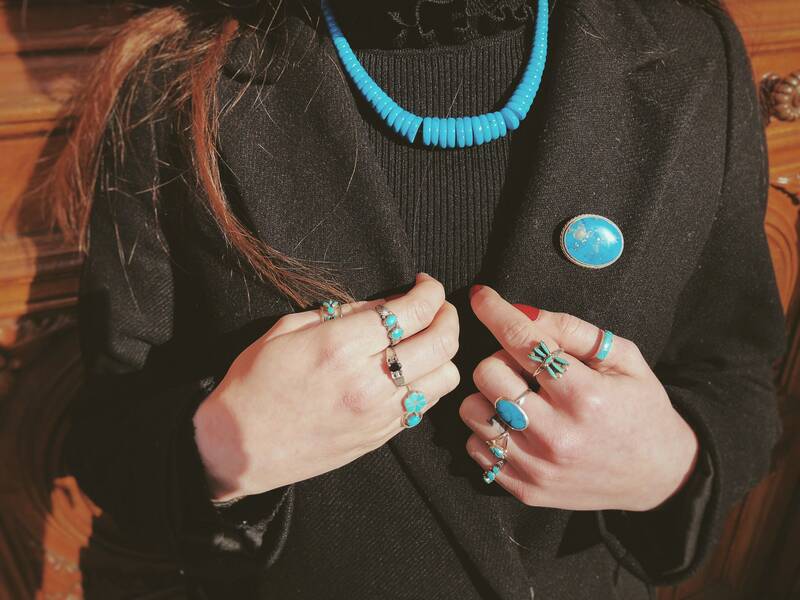 Thank you for the beautiful turquoise brooch. I am wearing it almost every day. Very happy with purchase.